El Nómada Hostel Asunción i Asunción, Paraguay : Boka nu! Super nice hostel in a great location walking distance from most things in town. 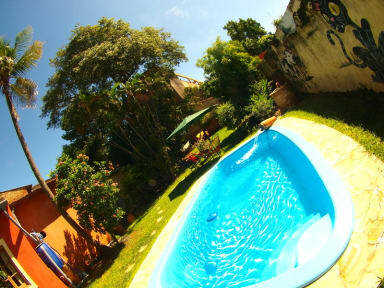 Great staff, very clean, nice toilets and showers and a really nice outdoor garden with a pool. Good vibes and a great atmosphere among the guests. Great breakfast as well. One of my favorite hostels ever!